Ah, the French! 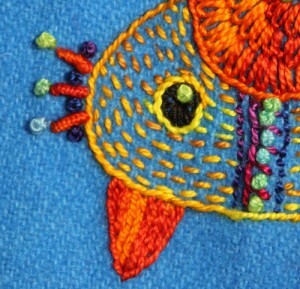 Creators of exotic and tasty things like French fries, French toast, and of course the French Knot. 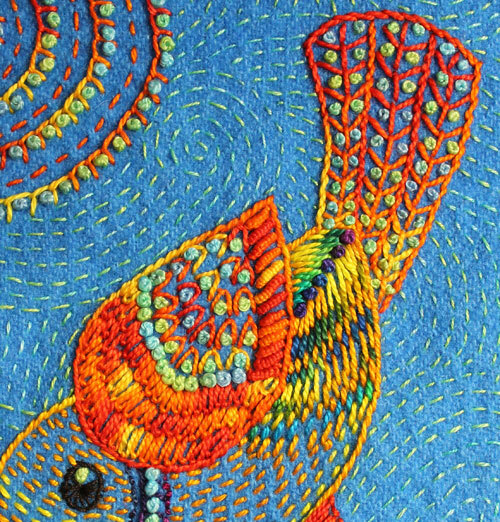 A French Knot sits on the surface of fabric like a shiny bead. And just like a shiny bead, it demands attention! 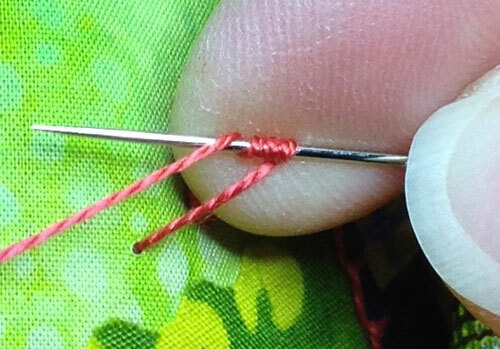 Hold the wound thread in place on the needle by placing your right index finger on the thread spiral. Pull the thread taunt with your left hand. 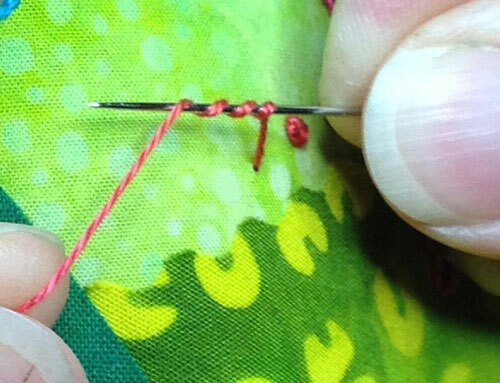 But don’t pull the thread too tightly around the needle or the needle won’t pass through the spiral. Scoot the tip of the needle just next to where the thread initially emerged from the fabric. Poke the needle into the fabric, move your right hand to the back of the fabric, and slowly draw the thread through the knot to the back. 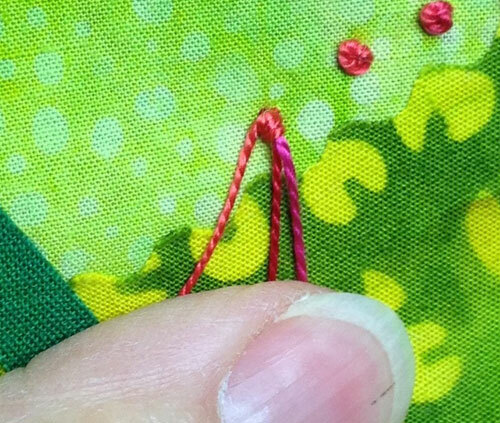 Here’s a tip: if the thread threatens to slip off the needle before you can insert it into the fabric, use the fingernail on your right hand to hold the wound thread into place. 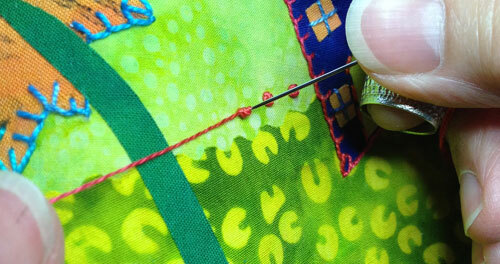 Continue to gently grip the thread with your left hand as the thread is drawn through the fabric. This keeps the thread from tangling. French Knots are the perfect stitch for adding a hit of color, to build texture, or to add an accent mark you can not make with fabric. Use them to decorate your favorite bird and add a glint to his little bird eye.